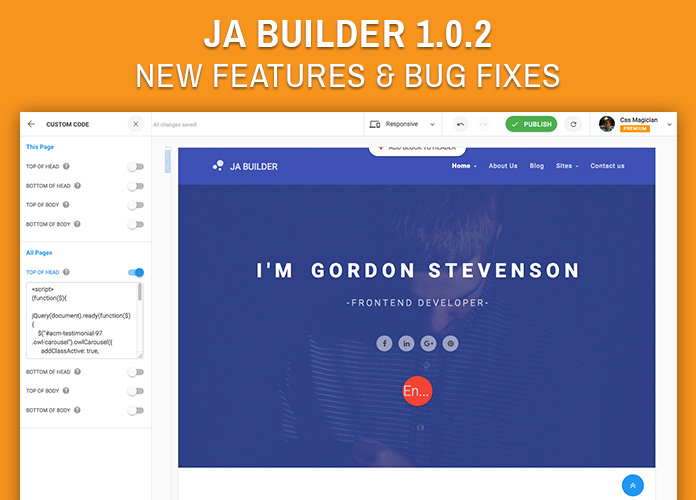 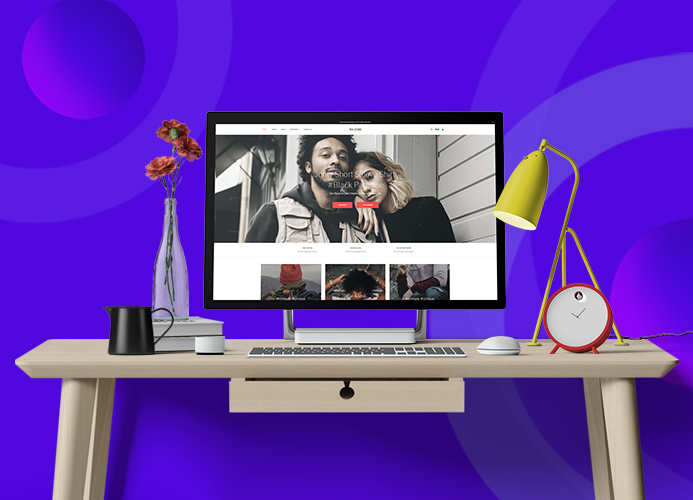 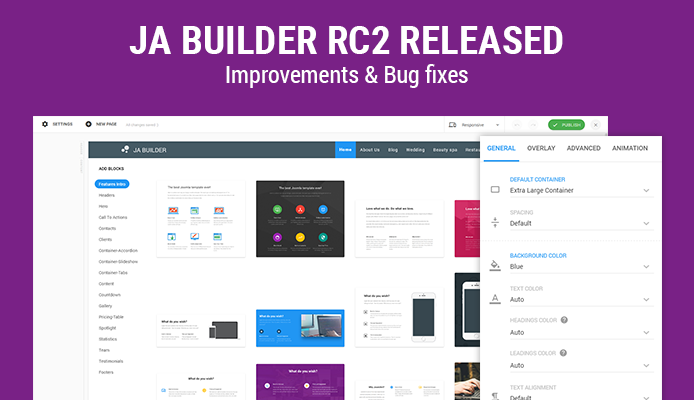 JA Joomla Page Builder RC2 is available now. 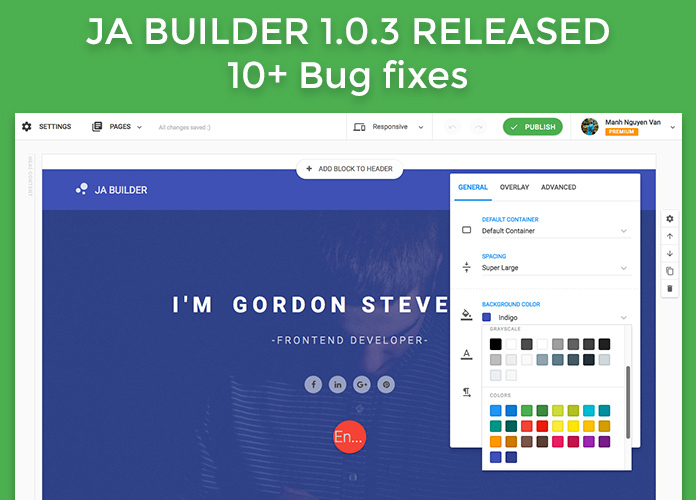 This release comes with few improvements and 40+ bug fixes, thereby bringing it very close to stable release next week. 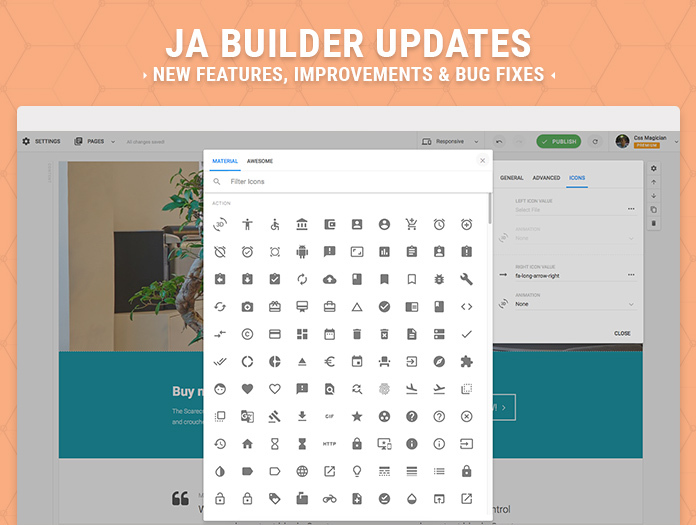 JA Joomla Page Buider is still in RC stage but we were amazed at how our friends have been using it to create really cool landing pages. 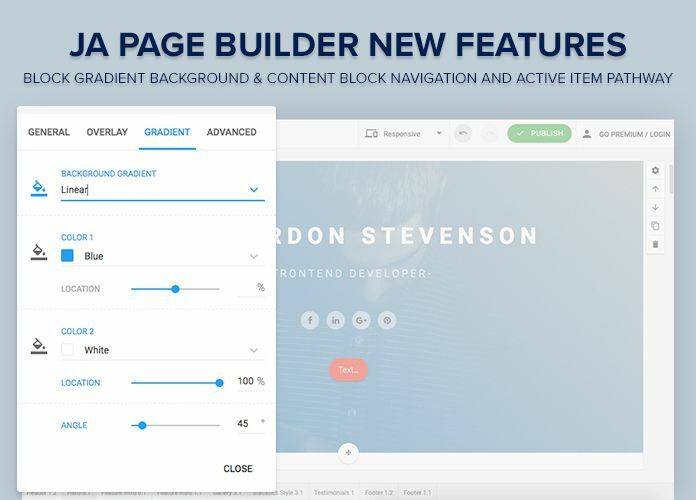 We are sure there would be more such coming up as we release our next version with ready to use pages and more block layouts. 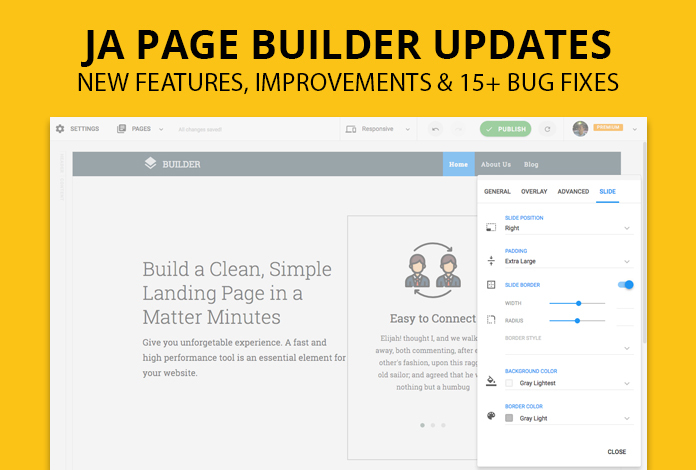 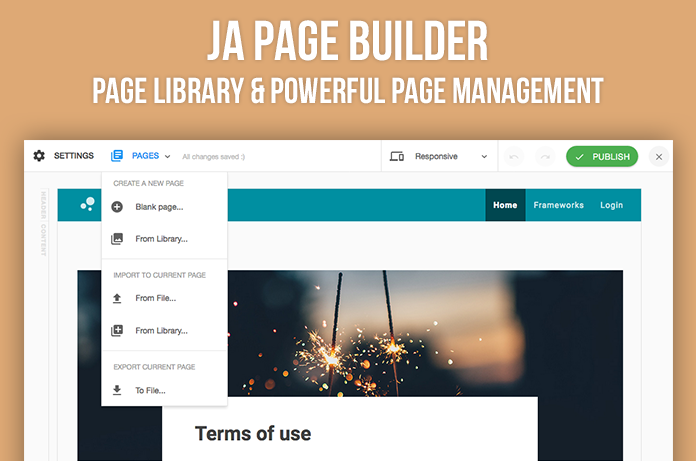 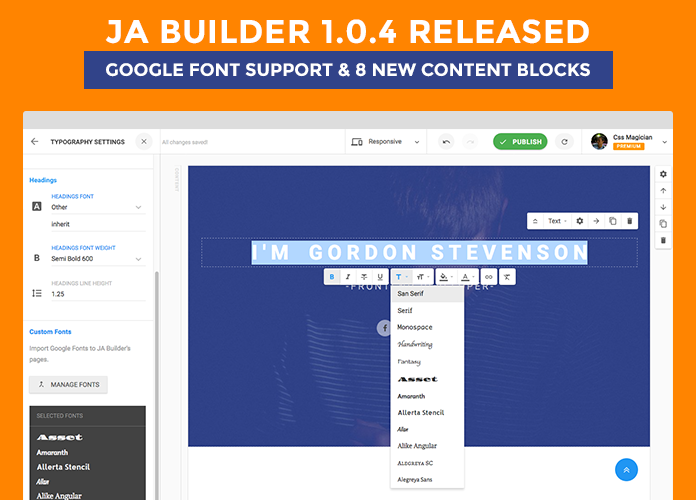 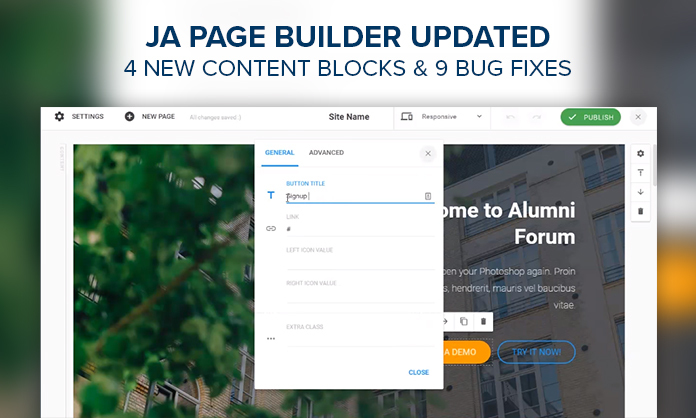 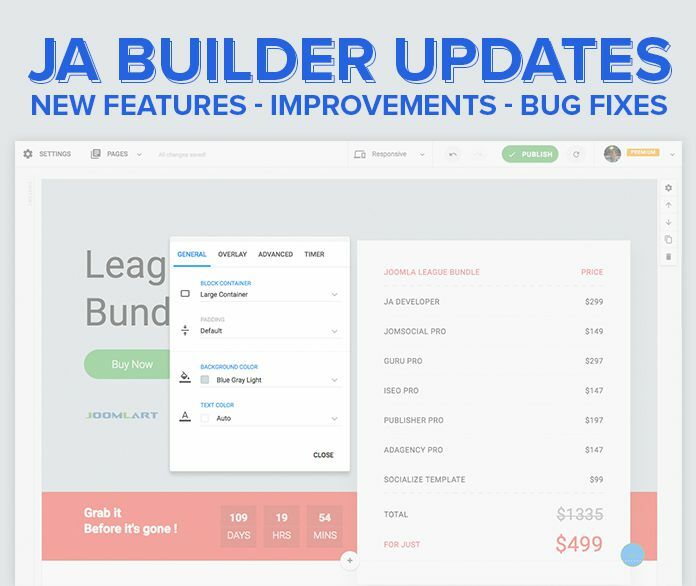 JA Page Builder as it is confirmed by our users also is the easiest yet powerful page builder for Joomla. 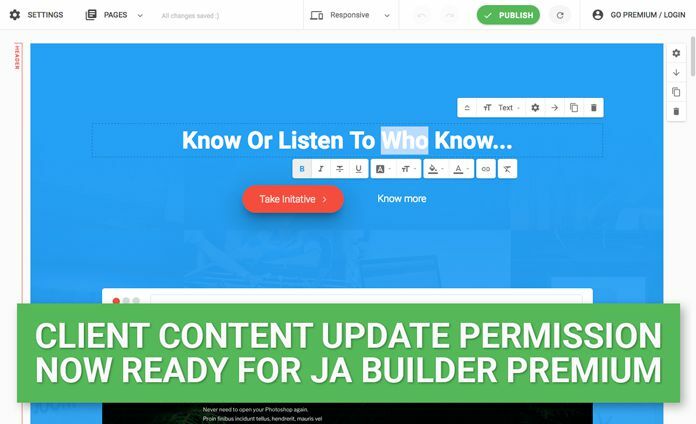 We will let these showcase blog posts coming as we go through the thousands of pages created so far.